HOW TO SPEND 4 DAYS IN BUCHAREST, ROMANIA. About a month ago I found out I was selected to be a part of the Experience Bucharest project, and whoever I shared this news with all responded with a slight variation of the same line - 'Ah the place where Dracula lives!' Yes, Romania (specifically Transylvania) is where Vlad The Impaler resided, but Romania is also a country of great contrast, beautiful architecture and well, amazing nightlife. Bucharest is quite a big city, but if you plan yourself around the city centre then you won't have a problem managing everything in this itinerary. 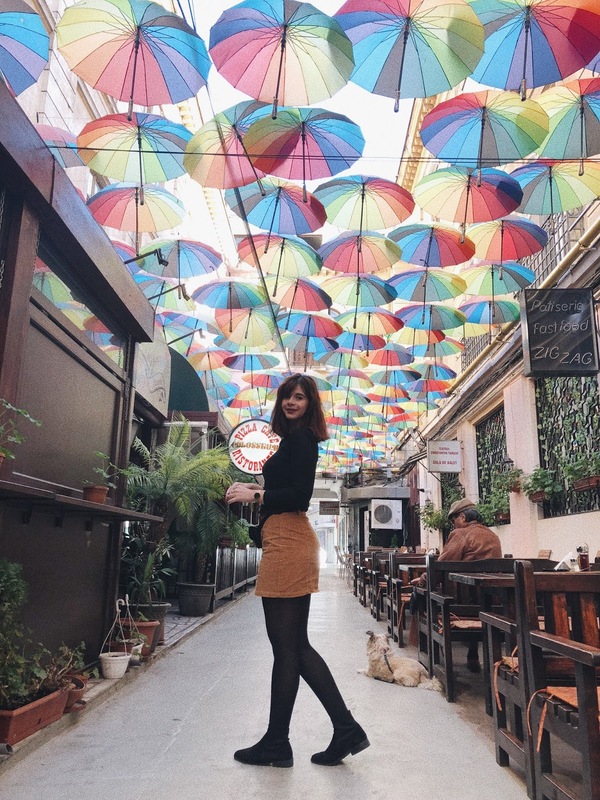 Here is my guide and tips for spending 3 or 4 nights in Bucharest, Romania. Not to be confused with the one in Paris, although it was very closely modelled to it. 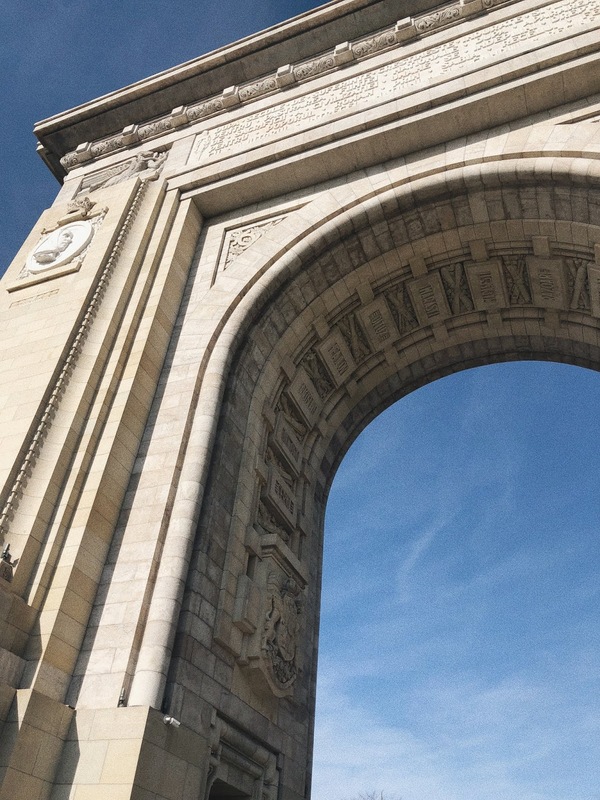 The first wooden arch was built in 1878 after Romania gained their independence, so that the troops could march under it. Then in 1935 it was built again in much more reliable stone. If you're in to your history and architecture then you can walk around (and up) the Arch with a tour guide who will explain to you in more detail about it and what all the sculptures and stuff means. The tour lasts around 1 hour, so if you've started this late because you fancied some extra Zzs then you can head to lunch after! As with most cities, there are always the 'tourist trap' restaurants around the centre, usually the places with people standing outside shouting at you to come in and eat/have a beer. After a little google search for 'best authentic Romanian restaurants' on Google I found this gem in the Old Town. It serves traditional Romanian dishes such as Sarmale (cabbage rolls), Mici (grilled minced meat rolls) and Ciorba (sour soup). They also offered 3 course menus for like, 12 euros. This walking tour is provided by Walkabout Free Tours and is a great introduction to the city and for you to get your bearings. The 2.5 hour tour takes you through 500 years of history from Vlad the Impaler to the 1989 Communist revolution. Our guide also recommended restaurants, some popular food and drink dishes and was happy to help with and questions we had about the city. As with all free walking tours, they are free to join but are based on a tipping basis. If you're travelling in a group and not everyone is inclined to sampling new foreign food, then this place will have something for everyone. From Italian to American to Asian dishes. They also boast an impressive cocktail menu from around the world - I recommend the Moscow Mule with a dash of mango. This place gets pretty busy so it's also a great place to start the night if you're planning on exploring the nightlife in the old town after. We passed through Intrarea Nicolae Serari street on the way home after hopping through another few bars and it was packed with people inside and on the lane. When I was picking my tours for this trip I was very intrigued by this one as I had never heard of the Rroma community in my life. It was definately an interesting experience as it isn't something you'd get to learn/witness if you were just wandering around the city on your own. The Rromas (or 'gypsies') are still a minority in Romania and account for 4% of their population. 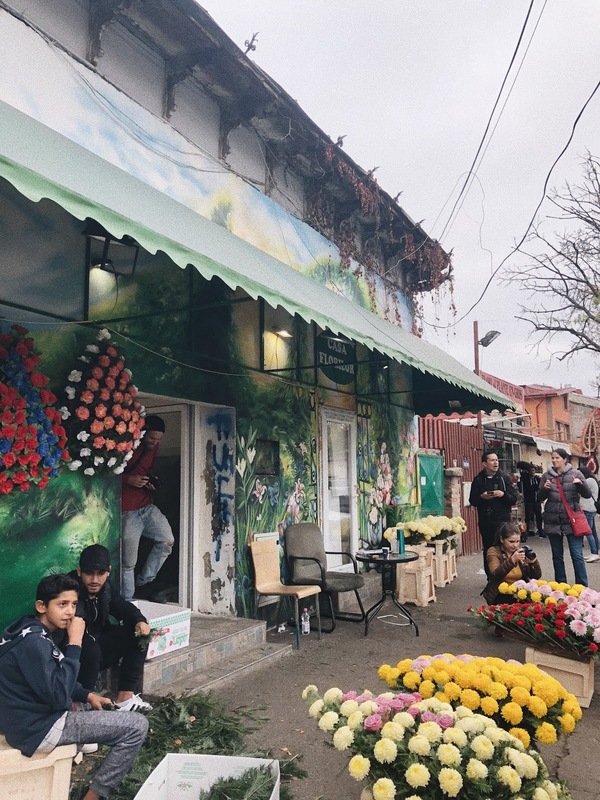 We had a visit to the Rahova neighbourhood and got to interact with the locals, visited the impressive flower market and visited a contemporary Rroma design shop featuring some of their crafts. This tour is provided by Open Door Tours and lasts around 3 hours. The atmosphere in this place was great. 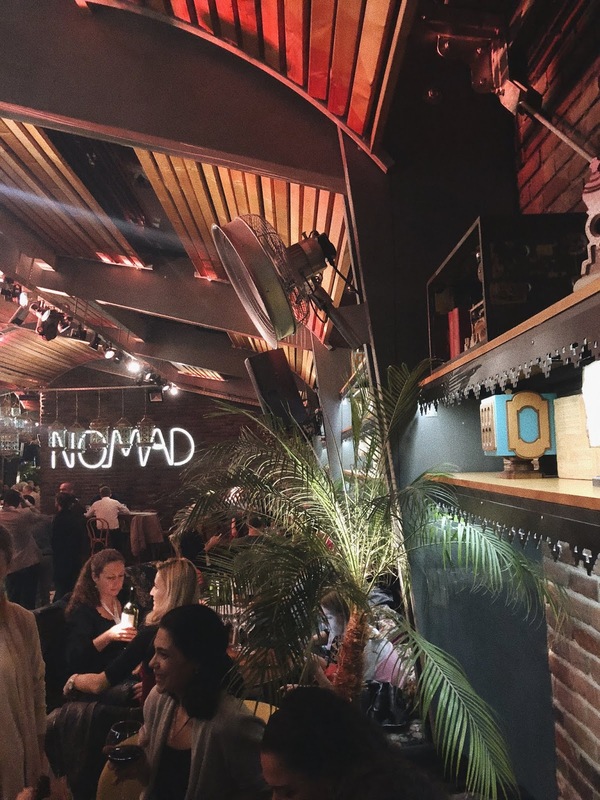 As the name suggests, they serve authentic Mexican cuisine, with Mexican staff, and Mexican music - and of course it's also acceptable to have Margaritas at 2pm when you're on holiday. They put on a lovely show for us and I was filled to the brim with quesadillas, tacitos and guacamole and nachos. This is another tour provided by Open Doors and it was actually the first alternative tour I've done in a city. I don't know why it took me so long because this sort of stuff does interest me and I also enjoy learning about the non-touristy kinda stuff. 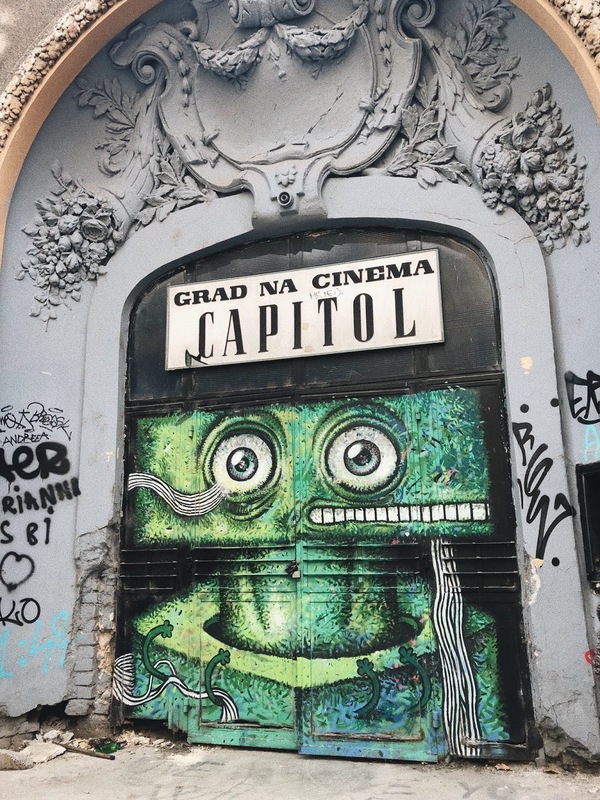 We got to explore some new districts, learnt about the street art and graffiti (I now think of myself as a connoisseur) and hears stories about urban myths in Bucharest. One artist that stuck out for me was Jace, who created all these little face sculture type things and hid them around the city (and other cities too). This Inn served as Bucharest's oldest operating hotel and was first built in 1808. It housed a popular restaurant, several bars, a coffee-house, several stores and an extensive bar. It's courtyard was popular for many fairs and performances. Nowadays there is still a restaurant in the courtyard and it really is a beautiful location (and perfect for your Instagram stories). We all know part of exploring the culture of a new place is, partying like the locals do. Maybe I should make a new Tea With Gi List on partying around the world - what do you guys think? Either way, I think Bucharest made it in to my top 5. 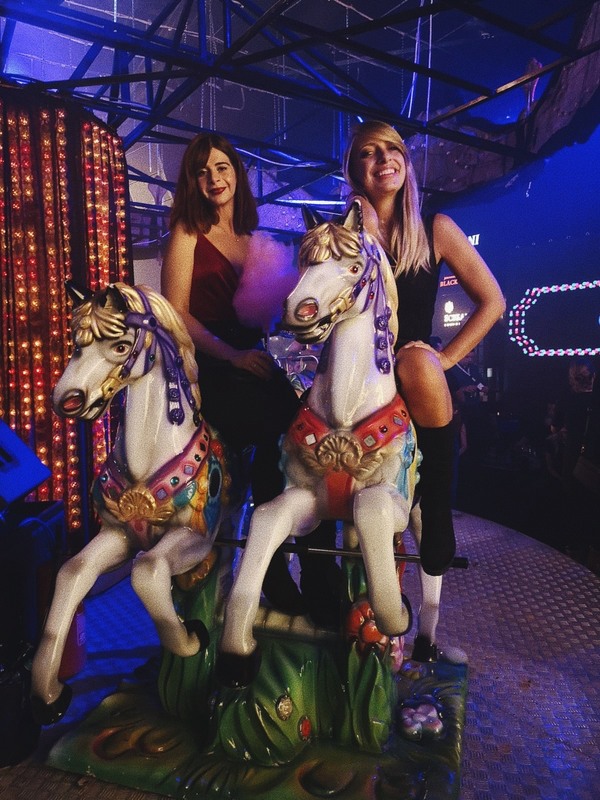 If you were following my Instagram stories then you might have seen this club transformed into a carnival for a week - complete with men on stilts, clowns, candy floss, popcorn, confetti cannons and of course a mary-go-round. The music was varied - there was old rnb hits, house jams and a bit of techno thrown in now and again so it was really an all round club. There isn't really much of a dance floor, so most people here had tables with drinks and danced around them. I'm not going to lie to you, I thought after 10 minutes of this my head was going to be day dreaming of what I was having for lunch or something. But actually, I was switched on the whole way through and even managed to retain quite a few facts from the 1989 revolution and Nicolae Ceaușescu and his wife. I won't give away the details because then there's no point in you going on the tour! If it's a sunny day then this is a great choice as the courtyard is lovely. They serve a range of fish and meat, pasta and salads. We were treated to a range of appetisers from Eastern Europe and then a lot of nice meat. Of course to finish off there was also cake. So I've had a look and the tour we took is only offered in the mornings so this was an exception, but I'm sure there are other providers that do afternoon tours or you can always swap and pick whatever appeals to you most. We walked around and saw some of the abandoned and restored Synagogues, districts, learnt about the history of the Jewish community in Bucharest and Romania, and about the Romanian Jews during the Holocaust. See the name suggested that this was going to be some sort of vegan restaurant, but when we arrived and I saw the pig spit-roast I knew I was mistaken. They did however provide a lot of vegetarian/vegan options that went beyond a salad. This is where I also witnessed the biggest burger I have ever seen. The restaurant is a bit out of the way but the setting is great if you're planning a special dinner etc. 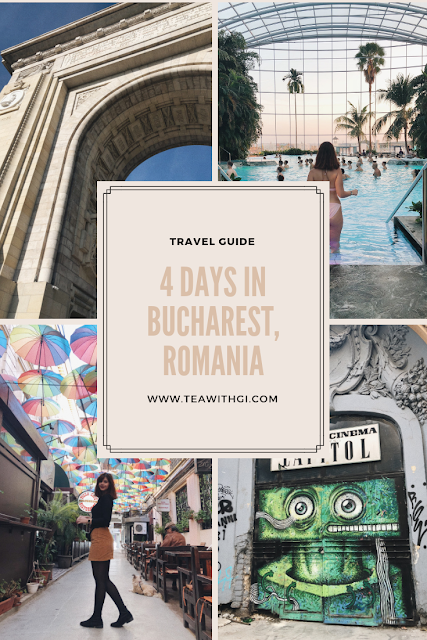 After all those walking tours, when we found out about Therme Bucharest I thought it would be the perfect way to end my trip. My friend Diana suggested it and since it was last minute, I went in search of a swimsuit and by some miracle H&M had 1 swimsuit left on the sale in their store and it was exactly my size. We took an Uber from the centre which took around 20 minutes and cost us 15 euros in total. This was probably one of my highlights as for just 15 euros you got access to: 3 thermal pool areas and slides, all the saunas (one had pink himalayan salt everywhere, the other was showing a David Attenborough documentary, and the other felt like you were in a rainforest and made you sweat b***s after 2 minutes), mineral pools, red light beds and even some massages. They also have a pool bar and a restaurant. We finished off our trip by having dinner in the oldest beer house in Bucharest. It's very popular with locals and tourists so you might need to wait a bit for a table (we waited for 10mins). They serve traditional local food and other classics, the decor inside is beautiful and there was even live folk music when we were there. I had a bowl of Hungarian Goulash for 5 euros, followed by papanasi (Romanian doughnut filled with jam, soft cheese and cream). I had the pleasure of staying at the Radisson for my trip and I don't think I can go back to staying at cheap hotels now. I don't ask for much when choosing accommodation - a clean room, Wi-Fi, good location and charging sockets next to the bed. My favourite thing about this hotel had to be the bed. It was lovely to have a nice comfy double bed to myself with a ton of pillows and it was very tempted to skip breakfast in the morning just so I could lay in it a bit longer. The breakfast included continental, english and some other bits and bobs because there was salmon and a lot of ham and cheese. I did check out the gym and pool but didn't make time for either, but if you're someone who wants to stay relatively fit whilst on holiday then this is a good choice for you. The hotel is a 10 minute walk away to the old town and you can reach pretty much everywhere by foot, except for the airport of course (that's 25 mins away). I had to extend my stay for an extra night as direct flights from Malaga were only on Thursday's and Tuesday's. So the organisers of Experience Bucharest (thank you Anda & Maxim) kindly let me stay at their hostel on the Monday evening. 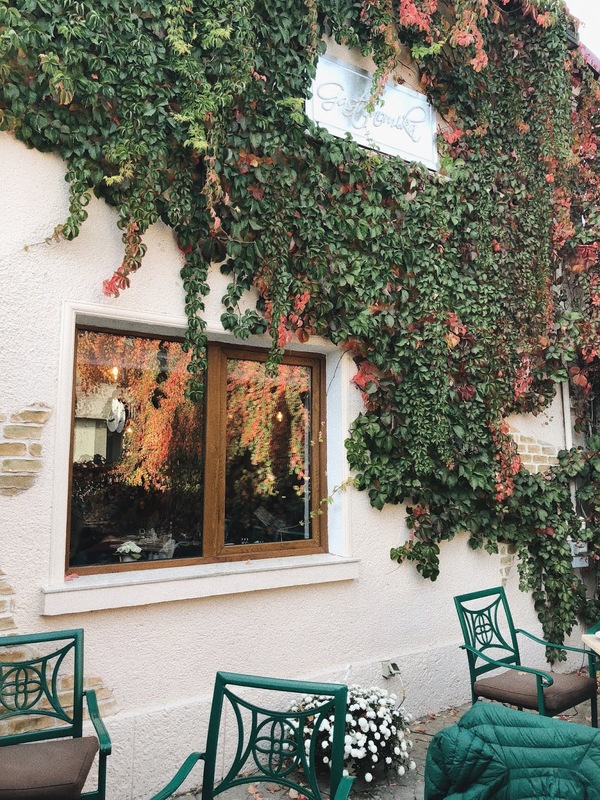 I've stayed at two hostels before (read about my experience here) and this was probably the most chilled and nicest one I've stayed in. For me sharing bathrooms isn't a big deal as most of the time when you go for a shower there's nobody else in there so it's the same as showering in a gym, pool etc. I stayed in a room of 4 and it only ended up being me and my friend Diana as the other participant must have come in when I was asleep and left before I woke up to catch their flight. Each room has it's own big locker so you can store away all your valuables, free Wi-Fi and clean sheets, just remember to bring your own towels! The hostel is situated right in the heart of Bucharest Old Town and boasts its own rooftop sky bar and the views are fantastic. Bucharest have some of the cheapest taxis in Europe, but as with most airports some taxi drivers might try and take advantage. When you exit the terminal there is a machine where you can pre-order a taxi from several different companies which will save you some money. Uber and Taxify are also available throughout the city. Bucharest was a lovely city full of history and charm, and I'd definitely like to make it a point to go back and explore more of Romania. As mentioned, I was invited on this 'press' trip on behalf of Experience Bucharest but all words and opinions are my own. Have you ever been to Bucharest or Romania? What are your thoughts on the country? Thank you so much for this detailed account! I've never been to Romania before but if I did, I would've been one of those people to exclaim, "Romania? Ah, Dracula!" It's so good that you went on a more historical trip as I love learning about different cultures. Bucharest looks so amazing! I have seen photos everywhere lately and this post is really giving me travel wanderlust! It looks and sounds like you had an amazing time! Bucharest is definitely on my to visit list! I never realised how beautiful Romania is! I've met a lot of Romanians who have been nothing but cool and friendly to me but never really spoke about the country much so it was good to get to know the country a bit through your post. I also really liked how you've organised things tk do into morning and afternoons/evenings, you're basically taking time to plan out a visitor's itinerary for Bucharest. I'm glad I met you at #ExperienceBucharest and I'm happy you enjoyed my hometown! CAN WE ALL STOP TREATING LIFE LIKE A COMPETITION? A GIRLY (OR ROMANTIC) WEEKEND IN MILAN, ITALY.